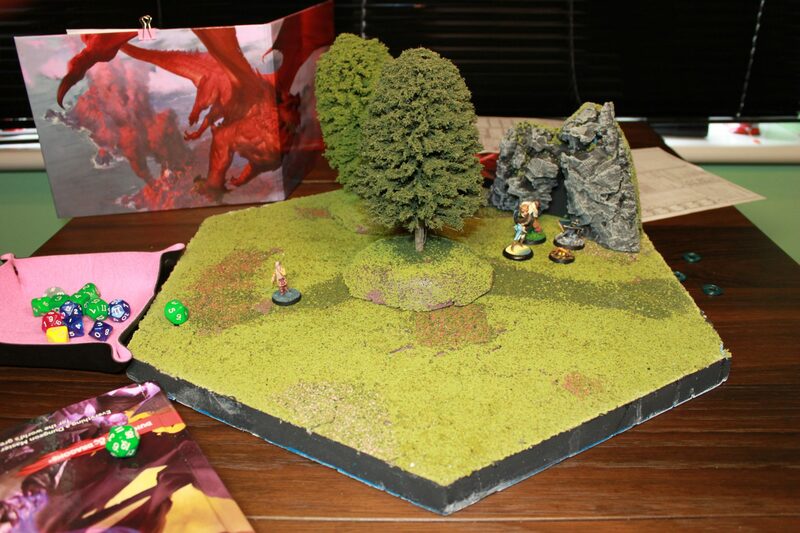 I had one of my player’s and his family over for lunch last Sunday and last minute, he asked whether I fancied running a mini-adventure for him and his young son and daughter. He would be using his main character, Feather, the Cleric, who just hit level 3, and the kids would use the characters they used to play at home, both also level 3. I did start thinking up an adventure, but then I decided to do a Google on “quick oneshots” and found this amazing collection of One Page Dungeons. I had a quick look through roughly 20 of them and settled fairly quickly on “Tower of the Time Wizard” by Andrew Harshman. Was an easy choice: Fast adventure, with a cool theme and twist… and I had all the minis I needed to run the game, especially the Tower! Naven Mag, was (or will be) a time wizard whose experiments with time had a major accident and both her and her tower disappeared in the streams of time. Two identical cave paintings painted next to each other by ancient orcentaler (orc ancestors) – One painting features a very modern looking tower with a woman. The other does not. 150 years ago, some children herding goats saw the tower appear and called alarm in their village. By the time the villagers rushed out, the tower was gone. First they rebuked the children but then they discovered several mangled goat carcasses destroyed in a manner no predator or magic would have done. A band of pirates raided an elven ship and found a treasure map with a letter in an unfamiliar language. While they couldn’t read the letter, they could read the map and found the Time Tower. Half were killed fighting monsters in the tower, only the old pirate made it out, losing one leg as the tower vanished taking his leg with him. The party is resting by a cave after a day of leisure hunting near the harbour town Selbina. They hear crazy happy laughter from Paravel behind some trees and he tells them he has found the location of the next appearance of the Time Tower. As if it was planned, the Tower appears as Paravel finishes his story. 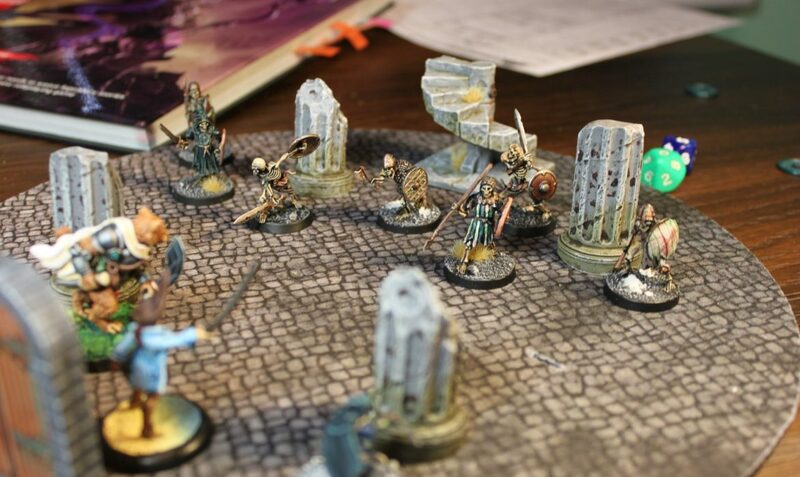 The party enters (Paravel stays outside) and find themselves faced with skeletons. They also realise time is moving at double speed and while they are affected, undead are not affected by time so the skeletons move very slow (players get double turns). Having dispatched the slow skeletons on the ground floor, the party moved onto second floor that is affected by time moving slow. On this floor the skeletons have double turns. After a pretty tough fight with the Fast Forward skeletons, the party cautiously moved up to the third floor, facing a well furbished laboratory but no obvious villains. This room essentially follows a specific set of steps leading to the ultimate destruction of the floor and the top of the tower. The reason why the steps are important is the room resets itself once players are killed! Tower starts shaking. Dex DC13 check to not be knocked prone. both staircases are destroyed. The crystal ball on the desk explodes in blinding light. Anybody looking at it will be blinded permanently. Barrel starts leaking gas with a hissing sound. Bottles and other stuff in the three cupboards explodes causing 3D6 damage to anybody not behind cover. half of ceiling collapses killing anybody underneath creating a ramp up to next floor. 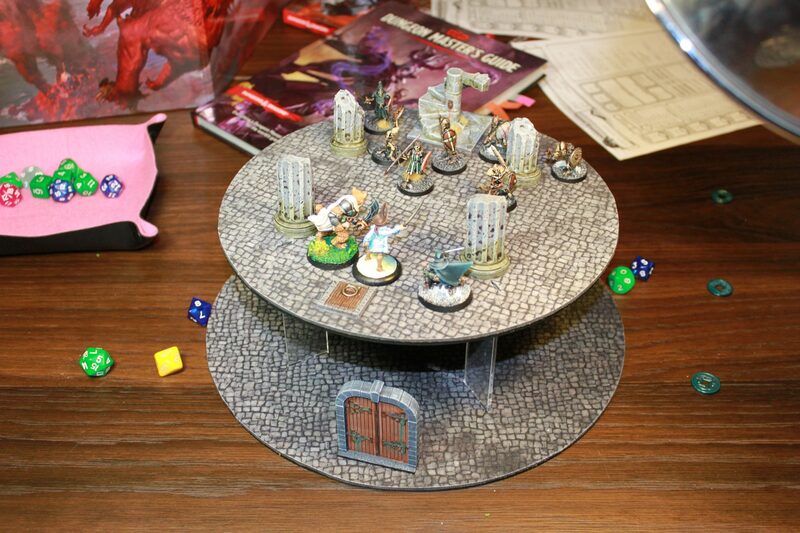 interestingly, the first time the players played the round they disabled the barrel from exploding by pure chance… but they were all on the half of the ceiling that collapsed. It took them 4 go’s to solve this one. 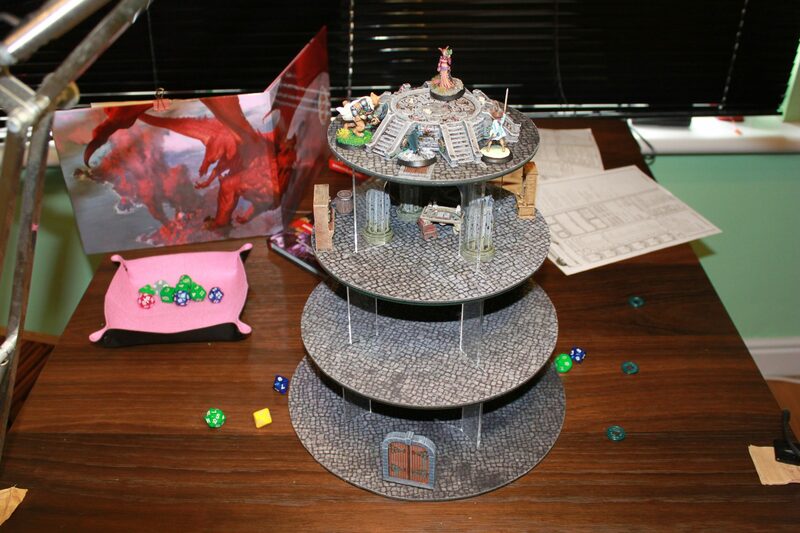 Finally the party made it to the top where Naven Mag was doing some “stuff” to stop her future self from stopping her. 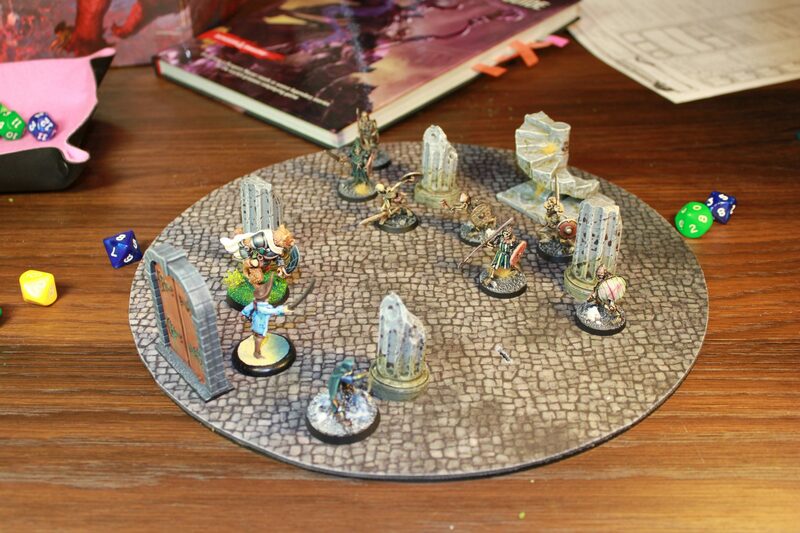 First the party tried to stop her, but then a portal appeared and the ghostly form of her future self appeared and the party decided to dispatch of the future version. Naven’s hourglass for each of the kids. 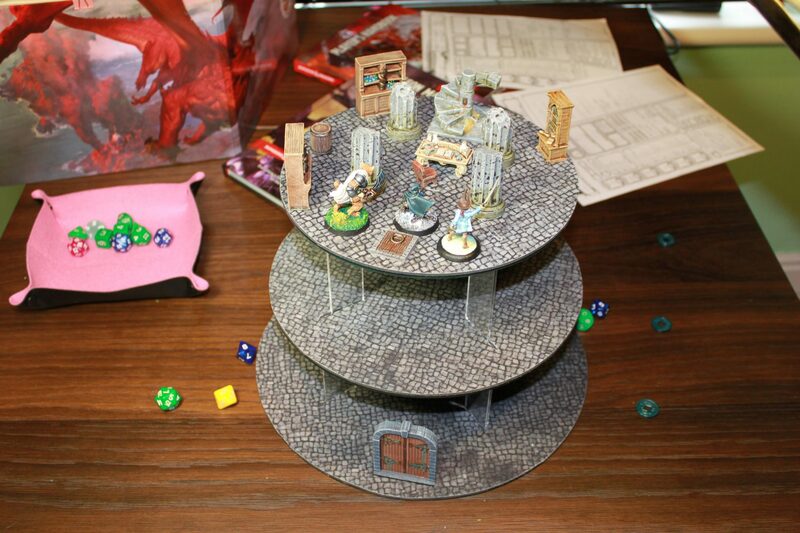 Can be used to give the party an extra free round in combat. 5 uses. Naven’s time coin. Activate to start a particular combat encounter all over with all stats, hp, spell slots restored. The party fights with advantage throughout the new version of the combat. The user flips a coin. On heads, they disappear into time forever!